i wanted to put together a special gift for haley's parents, when it was time for her to leave us for preschool. i have created a ton of layouts of her over the years, and taken a ton of photos. someone once asked me if i give the layouts of the daycare kids to their parents. and the answer is "no". i give them all the photos i take, but i keep the layouts. i have 6 albums full of memories from the last 8 years of daycare kids that we have had here. but i have thought over the years, that i should come up with a way that the parents can still enjoy the layouts. that's how this project started. i put this book together through blurb, which i have used before for making my blog books. i started out designing a 7x7 book, which is a very economical size to have printed. halfway though, i decided that the 12x12 book would make a better gift and have more impact. you can't just change the size of the book though, so i had to start over and design the 12x12 book from scratch. so be sure about the size book you want when you get started. i ordered the 12x12 book for her parents, and got the 7x7 book for myself (since it was already put together). my title page. i choose "our time together in photos and memories" for the title of my book, and also added this to my title page. it's the only writing in the book. the intro page. these first few pages are set up automatically. so i just choose a few pictures of me and haley. on that left page, is the copyright info. i started by taking out all the layouts that i've created of haley over the last three and a half years. i think i had about 25 of them. 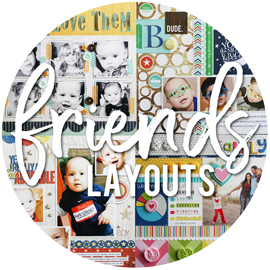 i have photos of all my layouts on my computer already, but they were all resized for the blog and online stuff. when doing these books, you really want to have the full-sized photos for better quality printing. so i re-took photos of all the layouts, and then cropped them all into a square. they were all in cronological order in my albums, so i took the photos in order. then i re-named each photo as "haley_1", "haley_2", "haley_3", etc. once i started the book, i simply added the layouts to every other page in the correct order. for the photos, i got out my external hard drives and went through all the photos of her that i've taken. i have all my photos organized by month and year. so i started with the first month she was here with us. i made new folders on my laptop that were set up for "0-6 months", "7-12 months", 13-18 months", etc. i went through 6 months worth of pictures at a time, and just copied all of haley's pictures into these new folders. it helped to break up the amount of pictures and keep them in some sort of order. i had a good idea of when the layouts were all from. so next to the layout, i would add photos that went with that layout. maybe it was the same photos that were on that layout. or extra photos from that same time, but that didn't make it on the layout. or maybe just photo taken around the same time that matched up. there are tons of page designs to choose from in blurb, when you're arranging your photos. i stuck with a few basic designs. the 9 grid design was a favorite, as well as the 4 grid design. i also liked the one large vertical photo, with the 2 smaller square photos overlapping it. then there were the extra photos. the ones that i never did scrapbook or use on layouts. i wanted to include those too. so i just added in additional pages, in between the spreads with layouts and photos. still keeping everything in order time-wise. it was really simple to just upload a folder of 6 months worth of pictures into blurb, and work with just those at one time. i would fit the photos in with the layouts, add the extra pages of just photos in, and make it all fit together like a puzzle. any extra photos that didn't work into that time frame got deleted from the book project. and then i would pull up the next 6 months worth of pics. once i had the books all designed, filled with photos, and cover done, it came to 70 pages. what you see here is just a sample of the book. i love that it was 70 pages long, and filled with tons of memories. 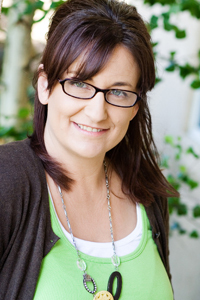 i uploaded my books onto blurb, and then placed my order. i choose the hardback covers, but the paperback ones would be a great option if you wanted to save a little money. three and a half years, and this baby girl has grown into a spunky little girl. and i've been there through it all. for three and a half years, we have had the pleasure of enjoying this girl 3 days a week. we all love haley and she is honestly just part of our family now. we think of her as one of our own, and treat her like our own. and she returns the favor, by acting just like one of our own. lol! but now it's time for haley to move on to new adventures. preschool, to be exact. it's been the plan for a while now, so this isn't new info to me. i've had plenty of time to get used to the idea, and to get ready for today. it's her last day with us today. and while we're sad to see her go, and we will miss her like crazy. we also know that it's her time to move on, and the change will be so great for her. haley is ready for a new setting, with new friends to be made, and to learn all sorts of new things in preparation for kindergarten. and i'm not worried about not seeing miss haley again, because i know she'll be around. i already have a list of the weeks that her preschool is closed, and she will always have a spot here when she needs a place to hang out. i think all of that makes it easier for me to see her move on. since it's still CHA time, i feel like i should be showing you some jillibean soup layouts with their brand new products. but those won't go up until next month. 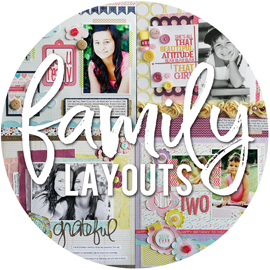 these are layouts that i did last month, and finally went up on the jillibean soup blog today. i knew i wanted to use the summer squash soup collection, and these photos of miranda matched perfectly. i was watering the plants in the backyard, while the kids played. and miranda got a hold of the hose. it's never a good thing, to have a child have a loaded hose in their hands. lol! i created this flower, using a template from kiwi lane designs, that i picked up at CKC back in june. just added a journaling sprout and a button. i took these photos of alyssa about a month ago, when she got braces. again. she's already had braces, back when she was 10 years old, i believe. but she had one main tooth grow in funny since then, and somehow it requires her having braces again. we'd already put the time and money into her teeth at this point, so figured we'd better just finish her off. she's not thrilled, but she's still cute as can be with them on. summer CHA started today, and i'm going to be stalking all the blogs and sites over the next few days, looking for all the great new products coming out. one of those sites that always has a ton of CHA excitement is the making memories blog. they keep the new products under wraps until the show actually starts. even though i design for them, most of it is all new to me too. so i'm seeing most of it for the first time, just like you. a few weeks ago, i saw this pack of felt bug embellishments from sassafrass while out shopping. it caught my eye, and i thought it was the cutest thing. but what would i do with it, was the question. then i thought of haley, and her love of bugs. so i bought the package and put it to the side of my desk to eventually use on a layout. this weekend, i finally got around to working on this. i remembered this photos of haley from over a year, and she happened to be picking a snail off the fence. seemed to fit the theme. i went with black and white photos, since she was wearing red in the pics. seriously. how cute are they! i stuck a few in the jar, and scattered a few around the rest of the page. the part about "she has been known to put bugs in her backpack, and bring them to my house in the morning". that is a true story. she once came with a live moth in her backpack. i avoided that backpack all day. wouldn't let her near it, or to open it. she's also brought little bug keepers, with random bugs and insects inside. and i make her keep it outside on the porch, and then take it home when her mom comes to get her. and everyday, when she goes home, she will pick up any bug she sees in my front yard. or she'll start digging around in the dirt of them. it really grosses me out. lol! this weekend, i had a creative marathon. and i loved every minute of it. it's been a long time since i have scrapped just for fun. meaning, no deadline, no assignment, no specific requirements. just scrapping for fun, with whatever i wanted to use. actually, i checked my blog and the last time i had a "just because" layout, was back in the beginning of may. it was time. and for once, i had a free weekend with nothing big going on. so i devoted saturday and sunday to creating. i came out of it with 9 layout (5 of which are totally done, and 4 are almost done), 1 card, and 5 projects (4 of which WERE assignments). here's one of those layouts. i had the new boardwalk collection from little yellow bicycle sitting out, waiting for me to find the time to create with it. i was digging around for photos, and came across these ones of haley from last summer that were perfect. this collection is definately geared toward the beach and the sand a bit more than regular water play. but there are so many great pieces to choose from, that you can still make a fun water page with it. these canvas border stickers are so cool. the large red circle border is the one that started this whole page. i liked that it pulled out haley's red shirt. but i had to use the wave border too. even though there were no waves on the slip-n-slide. it still meant water to me. lol! and how fun is that puffy "photo op" accent sticker. so cute. i love this sun decorative edged paper. at first, i was going to use yellow cardstock on the top of the layout. but then i saw the sun paper, and it was perfect. i added some fun embossed cardstock sticker clouds at the last minute. i used my making memories slice and the summer design card to cut the word "refreshing" from one of the red pattern papers, and then added some clear stickers to spell "H2O" for the rest of the title. here's a close up shot of the journaling. sort of close up. i should have zoomed in a little more, now that i see this. click on it to read it larger. the journaling strips weren't standing out enough against the pattern paper. so i inked the edges with a red ink pad. havn't shared a photo of my island lately. it goes through stages, depending how much is going on in my life. sometimes, it's clean and empty. meaning my life is totally under control. rofl! that was funny. what? my life, under control? yeah, right. lol! 99% of the time, it's covered in a wide variety of stuff. what's going on today? well, i have some CHA stuff going on, that i'm getting ready to mail off. i have another layout that i'm mailing in to the magazine. i have a few projects that i just got back from the magazine. i have a basket of product sitting out, from putting the finishing touches on a project. some random supplies and tools. i have my new camera, that i havn't had time to play with too much yet. i have my cute iron bowl of yarn balls, that i move from the family room when the daycare kids are here. i have extra clothes, in case the baby spits on me. i have my extra hair products, since i usually end up getting ready downstairs (since joe works nights and i can't get to my bedroom all day). so yeah. that's my island. i'm not going to show you the kitchen island right now. it's smaller, and yet it has even more stuff on it. lol! it's that time of summer, when all we hear is "i'm bored" and "i have nothing to do". usually, it's coming from our kids. but i know i'm sort of feeling it lately too. lol! so it's the perfect time for CK summer camp 2010, a weeklong event over on the Club CK site. you can check out the summer camp agenda and find out what all is planned for the week. you can earn merit badges. and for every merit badge, there are chances to win prizes. i think the first merit badge is genious, the orienteering merit badge. on your way to earning this badge, it will take you on a full tour of the CK club site. it's a great way to learn all the great stuff that the site has to offer. one of the first activities today is the flag ceremony. you can learn all about using flags and pennants on your layouts and projects, get a free download, and even earn your flag etiquette merit badge for participating in the challenge. banners are all the rage right now, and i'm hoping to try this out on a layout. but for now, here's a card i created a while back that fits the challenge. we just want to wish joe a very happy 41st birthday today! he is the best husband and father that we could ask for, and we appreciate all that he does for our family. he's only a few hours into his special day today. and already he has dropped alyssa off to the church for her planning meeting, picked up breakfast for sarah and me (he ate his there), went and got me starbucks, went back to pick up alyssa from the church, and went back to the store (which he was just in 20 minutes ago getting me starbucks) to get me chips for the appetizer i'm making today. that's the kind of guy he is. he'll put us and our needs ahead of his, and never complains about doing those things for us. we love him for it. happy birthday babe!!! i had some other stuff i was going to blog about, but have too much going on right now to type it up. my sister is coming out today from colorado, to visit for the weekend. my brother and his wife are hosting a family crab & shrimp boil tomorrow. tomorrow is also joe's birthday. 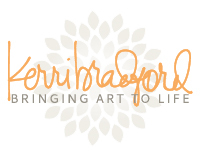 i have lots of scrapping projects to get done this weekend. joe's umpiring 2 games on sunday. and alyssa and my mom are both working at the church on saturday and sunday to get everything set up for bible day camp next week (alyssa helps out, and sarah will be in drama camp). but i still wanted to post something. the other night, i was looking for a video for one of my new favorite songs. that led me to looking for video's for other songs. and next thing you know, 2 hours had passed. lol! anyways, thought i'd pop the video's on here for my top 5 listened-to-songs right now. these are the ones that i keep going to on my ipod. i was asked a while ago, to create some fun party favors for making memories with a travel theme. i used the new panorama collection, my slice, and the parties design card. i sent extras along with my projects, and jenny filmed this fun video showing you how to re-create these three projects. any questions, just let me know. and be sure and keep checking the making memories site. 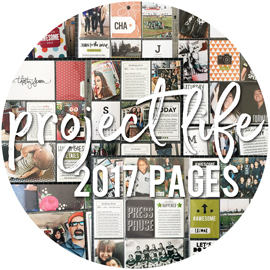 there's a section on the right side of the page, that has lots of video inspiration from projects that the designers have done. and you'll also find lots of video how-to's on the slice site. i'm back-tracking a bit to a few things i never got around to posting last month. one of those things was sarah's 11th birthday party. we had her party a few weeks before her actual birthday. with school, soccer, and church activites all ending around the same time, we wanted to do the party while everyone was still in touch. she invited some of her best friends over for a swimming party. grammy and papa are always gracious enough to let us use their backyard and their pool for our parties. there was lots and lots of swimming. a few of the school friends. alyssa watched everyone swim, until her friend got there. there were pool games. this was something about guessing colors, and trying to catch each other. sarah's soccer friends spend a lot of time on this tube. we BBQ'd. actually, joe and his brother johnny BBQ'd, just like they always do. the grown-ups ate, in the shade. the kids ate, in the sun. more swimming. and alyssa was happy that her friend made it there to help keep her company. there were some you-know-what fights. eta: i'm re-phrasing what i had typed, since i'm not getting all sorts of weird google search engine hits coming up on my blog. how crazy is that? which sarah and her BFF, tawny, won. there were some games. the beanbag toss and some limbo. do you own a making memories slice? if you do, do you own one of the new hands free kits? i had received my hands free kit over a month ago. but i have to be honest. i hadn't pulled it out of the box until yesterday. i already had my regular glass mat all adhesived up and ready to go. so, when i did need to use my slice, i had just pulled that out since it was easy. but yesterday, i had quite a bit of slicing to do. so it was a good time to try it out. 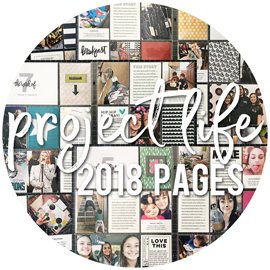 i know that i'm a little partial to making memories products, since i'm lucky enough to design for them ;) but it also has a lot to do with the fact that they really do put out amazing products. i have loved my slice since the day i started using it. but the new hands free kit? i honestly think it makes the slice a ton better than it already was. i could explain the hands free kit and how it works and what you get. but marianne does it so much better, and is cuter to look at and listen to than i am anyways. lol! i never had a problem holding my slice in place, while it cut. it's not like the images take that long to cut, unless you have a really intricate shape. then again, the fact that i didn't have to hold it in place, left me to do other things while it cut. i'm not one to sit still. if i have 10 free seconds, you can bet i'm going to find something to do with my time. lol! so as i was slicing for a few projects i was working on, i would get up and do things inbetween my cuts. a few times, i left my scraproom to do something in another part of the house and totally forgot i was slicing. the other thing that i noticed right away, is that i think the slice cuts a lot better with the hands free kit. there's less room for user error. not holding it right, holding it too tight or too loose, accidently having it move a little while cutting. the magnetic is so strong, that the slice stays exactly where it needs to be. in the july/august 2010 issue of creating keepsakes, there's an article called "designer challenge: from layouts to card". and in the july/august 2010 issue of papercrafts, there's an article called "designer challenge: layouts inspired by cards". the creating keepsakes dream team girls were each given a card created by a papercrafts designer, and we each made a layout inspired by that card. and then the papercrafts go-too-gals were each given layouts created by the dream team, and used them for inspiration in making a card. it's fun to see how scrapbooking and cardmaking really do go hand in hand, and how we can find inspiration from each other. if you go to the creating keepsakes blog and scroll down a bit (taking in all the other great projects, of course), you can find a really cute card designed by rae barthel. then if you go to the papercrafts connection blog and scroll down a bit (once again taking in all the other great projects), you can find my layout that i was inspired to create, based on rae's card. it was such a fun project to work on. make sure and check out the july/august issues of both magazines, so you can see all the other creations by the rest of the girls. and if you think it sounds like a fun idea, there are two challenges going on right now. i think you still might have enough time to get in on one of them, and have a chance at some prizes. 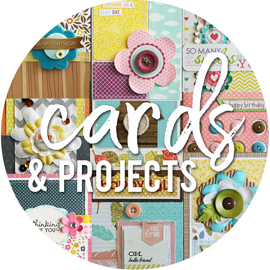 check out the Club CK blog, where you can participate in the card to layout challenge. and check out the moxie fab world blog, where you can participate in the layout to card challenge. and while i'm talking about Club CK, i thought i'd give you a few more links. there's so much fun stuff going on, that you might lose track or miss something. did you know you can see what all is scheduled to be featured for the week, in one spot? it's all on the Club CK blog, along with lots of challenges and other info. click HERE to find the CK Club happenings for this week. time for another jillibean soup layout. this one went up on the jillibean soup blog today.